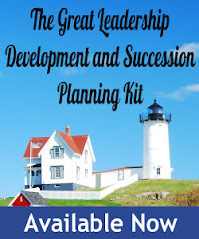 After having written my 500th post for Great Leadership, I thought it was finally time to write something on how to do succession planning. After all, it’s where I probably spend 50% of my time, and have been doing it for over 20 years at three different companies (my goal to write an e-book on the topic some day). It’s not that I haven’t written about many of the components – and I’ll try to link to as many as I can – it’s just that I’ve never written a single “how-to” guide on the topic. In some ways it’s harder to step back and look at it at the 10,000 foot level, because I’m so close to it – like an engineer writing a 1000 word post on how to do engineering. I hope this hits the mark for most of my readers. Step 1: Have a damn good reason to do it. Identifying your damn good reasons will also help you stay focused and establish the foundation for measuring your progress. If you skip step one, beware – you’ll end up with a bureaucratic nightmare that everyone hates, and probably end up looking for something else to do to annoy people. Step 2: Identify key positions and or “pools”. In other words, who are you worried about finding and developing replacements for? Who would the Board of Directors, or an investor be concerned about if they left? In most cases, there are only a few key positions that are critical enough to bother with position-based replacement planning. Usually those are C-level positions, or perhaps some rare scientist or programmer full of intellectual property. Otherwise, it makes more sense to identify key levels or functions, and then identify “pools” (groups) of talent that could potentially step into any position at a specific level of function. For example, you might have a “senior executive” ”, or a “management” pool. Large organizations often have many pools, one for each level. This is where the process can take on a life of its own, and where I see companies get bogged down. Here’s a simple way to look it: Say you’re doing succession planning for a big fish position for a 1000 person company. You’ll want to somehow throw a net out there and haul in the handful of those 1000 little fish in the ocean that have the potential to be your next big fish. This data gathering usually takes the form of talent profiles, resumes, HR data, and assessments. You could also do a little “demand forecasting”, to figure out how much talent you need for key levels or functions. Software programs can help keep track of this information, as well as monitor and track progress and results. A common tool to facilitate dialog for this discussion is the use of a performance and potential matrix, otherwise known as “the nine box”. In a perfect world, these conversations would take place all the time, and you wouldn’t need a formal review. The reality is, unless someone is pushing it and providing process and structure, it won’t happen. The day-to-day business issues will always take priority. The other advantage of having help and process is that it makes it a more efficient and effective use of a senior team’s time. Unfortunately, many organizations spend most of their time on steps 1-4 and ignore the actual development of their high potentials. It’s as if once successors or talent pools are identified, they’re going to just magically become ready for new roles. I’ve even heard of organizations that treat succession planning and leadership development as two separate activities, often having different functions responsible for them. The best organizations and leaders don’t even pause for a breadth before they move right from identification of high potentials to development. Best practices for development include new jobs, stretch assignments, coaching, and formal programs. These plans are often documented, discussed, and tracked as a part of an individual development plan (IDP). If you did a good job with step one, then you’ll have a good idea what to measure and track. There are two types of measures: results and activities. Results could include # of key positions filled by internal candidates and number of successors/pools and readiness (bench strength). Activities could include progress and completion of IDPs. Great post. Thanks for translating into PhD speak for me. Thanks. I can fake a little PhD when I have to. I also speak corporate, HR, and now a little Italian. Interesting post. I work mostly with CPAs on practice transitions. 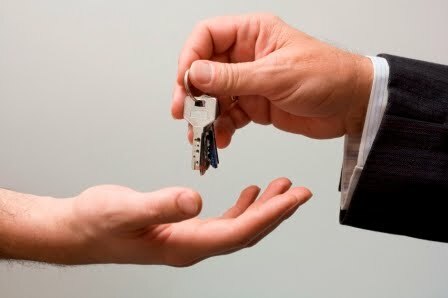 Most of them see succession planning as planning for an event, when it is really the process that matters most. I came across your blog via a Worforce SmartBrief. I just wanted to let you know I found your posts very informative. We are new to the talent management (succession and leadership dev) space so the info you provided was quite timely. This is the same process our organization uses and we are beginning to see good results. There's a greater focus on development since we are now tracking progress of development plans. Our metrics for filled positions reflects our succession planning efforts. Instead of external or non-succession plan candidates filling positions, we are filling with qualified internal candidates that were identified and developed for specific positions. Oversight of the process is done through HR, but the executives own the process. We are now in working on extending talent discussions down through the entire organization. Great post! I would definitely buy your eBook when it comes out. I very much enjoy your post. As for this topic, I strongly agree with your points. Additionally, I believe that employers nowadays forget to practice the art of downsizing. Some companies handle them so badly, it may jeopardize their future recruits; in turn, hurting their succession planning. Thanks for another great post. Right, it’s the ongoing development that makes it a process. Thanks, and welcome to Great Leadership! Sounds like you’re doing something right. Congratulations. Thanks! All right, I’ve got my first customer. Can Common Sense be Learned?